The temperature has reached 36°C, turning the outside air into a furnace. 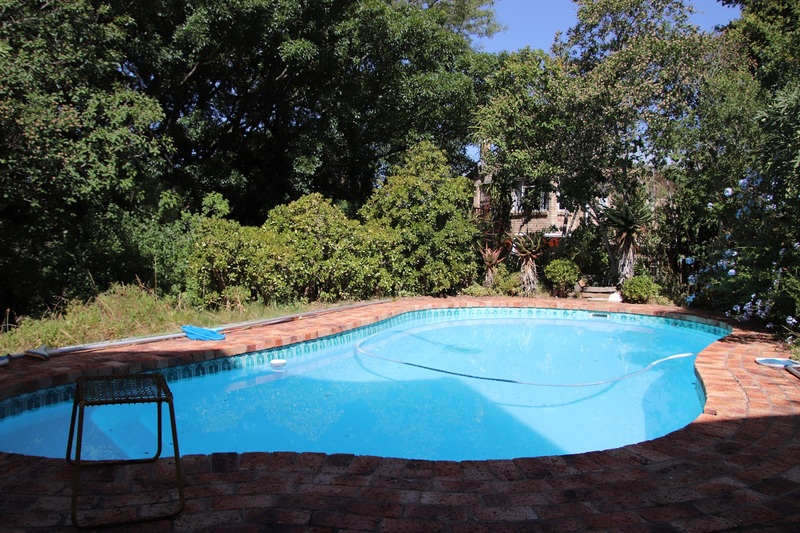 The brick paving shaded by the house radiates heat, while the bricks still in the sun are too hot to walk on barefoot. 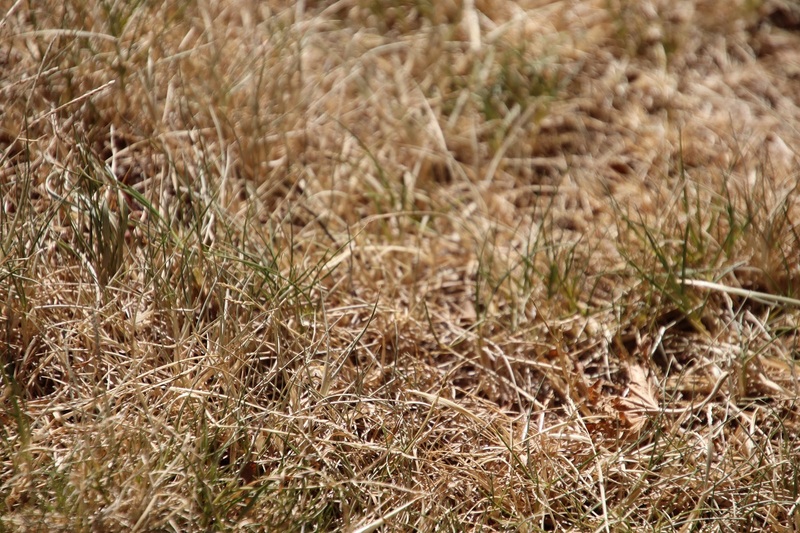 What is left of the lawn grass crunches underfoot. 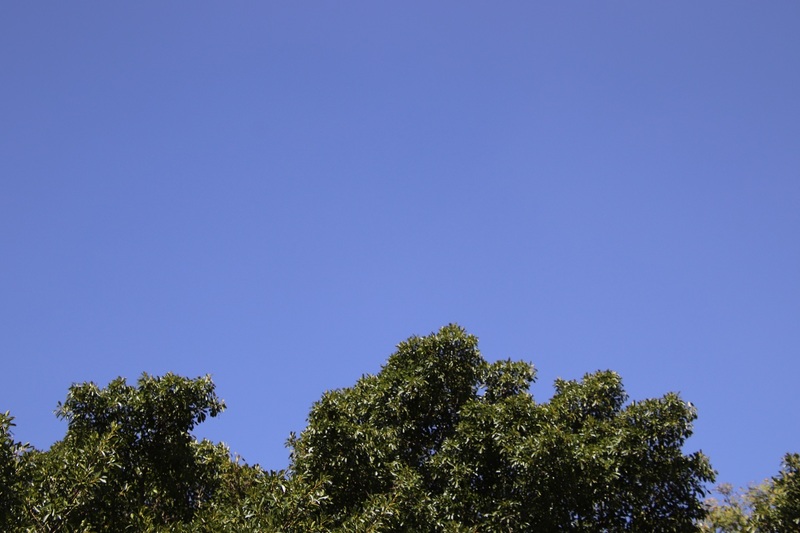 It hasn’t rained for months and the sky obstinately remains a beautiful clear blue. Not a leaf stirs, only the heat waves bouncing off the walls and the brick paving. 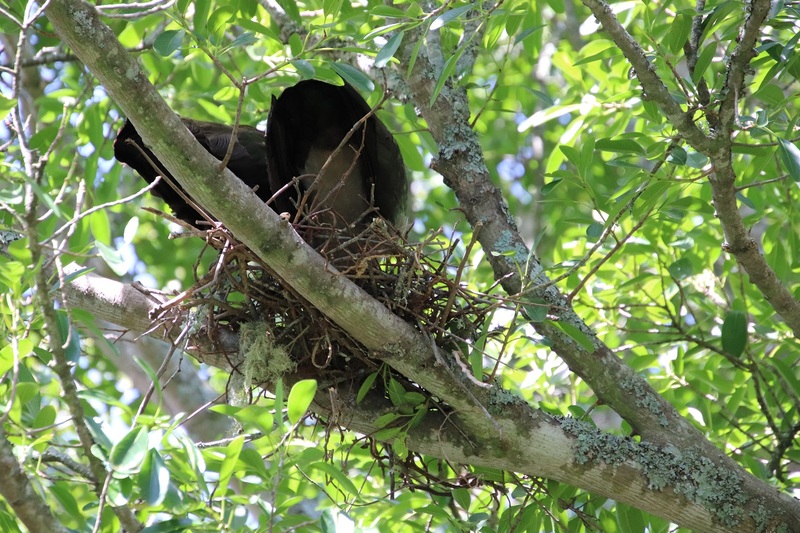 The Hadeda Ibises sitting on their nest in the Natal Fig tree keep making ‘bib-bib’ sounds. 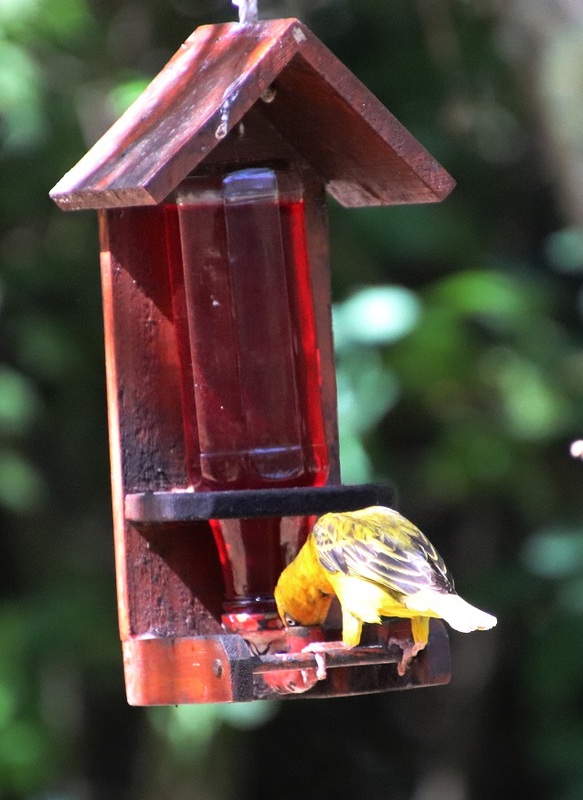 A Cape Weaver drinks deeply from the nectar feeder, arriving and leaving silently as if there is no energy left to make a sound. A hot breeze sets a few leaves in motion and then dies abruptly. Hark! 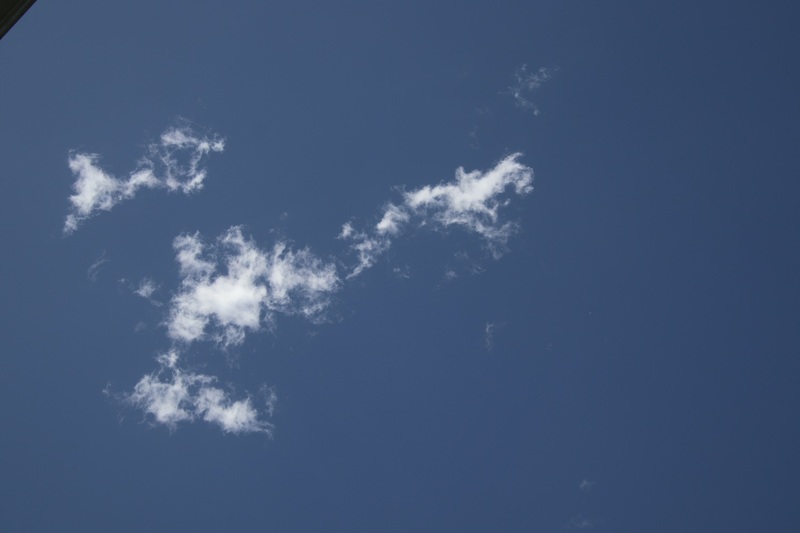 There is a wisp of cloud creating patterns in the sky! It dissipates while I watch. 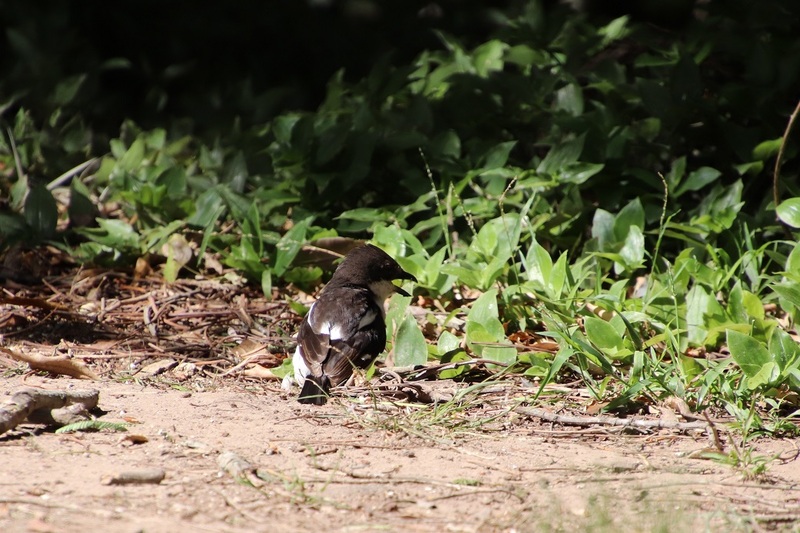 A young Common Fiscal seeks food on the hard-baked ground then flies into the shrubbery, its quest unsuccessful. Nothing stays in the direct sunlight for long. 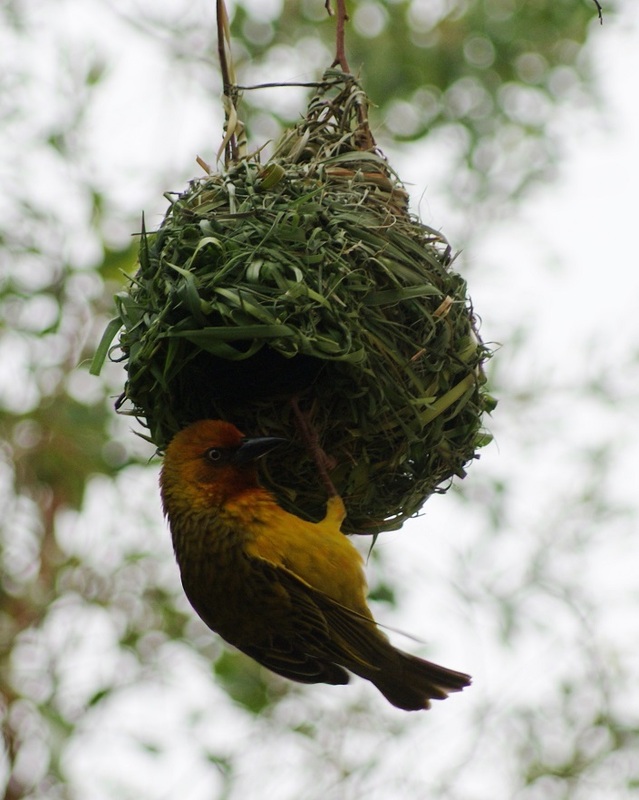 Weavers are amazing birds – you only have to watch the males weaving their intricate nests from grass to know that. We, with all our fingers and thumbs, would be hard-pressed to even try, yet they manage this process – often hanging upside down to get their work done, using their beaks only! 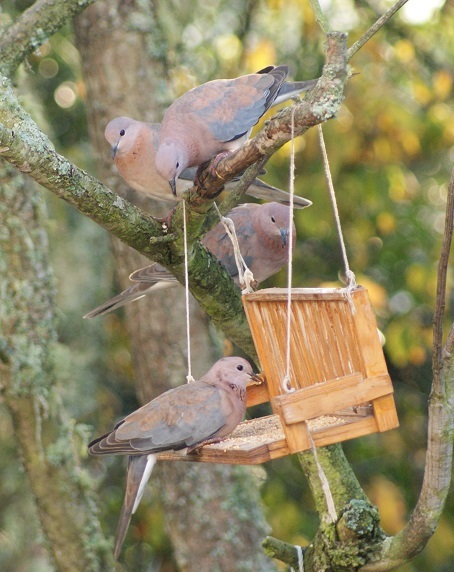 They are gregarious and rather noisy birds. 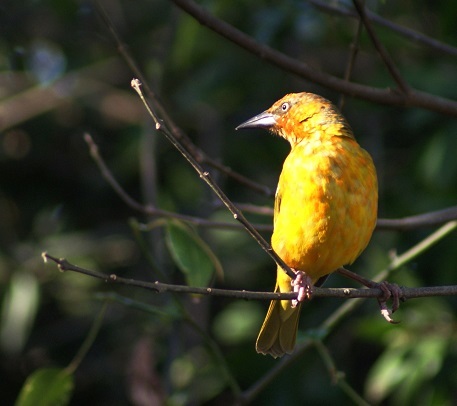 The most common weaver in our garden is the Village Weaver, closely followed by the Cape Weaver. 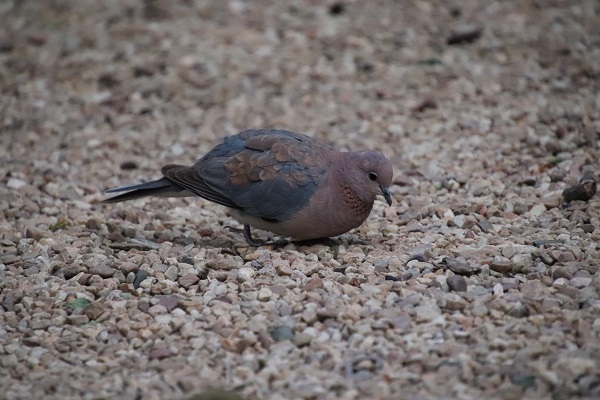 Both are present in fairly large numbers that wax and wane throughout the year, so we can observe them in the full flush of their breeding plumage as well as in their drab winter tweeds. 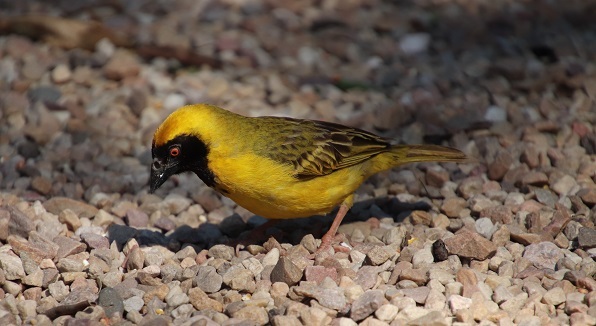 Southern Masked Weavers occasionally drop by and – very infrequently – a Spectacled Weaver pays a visit. Singular, because I have only ever observed one of them at a time. 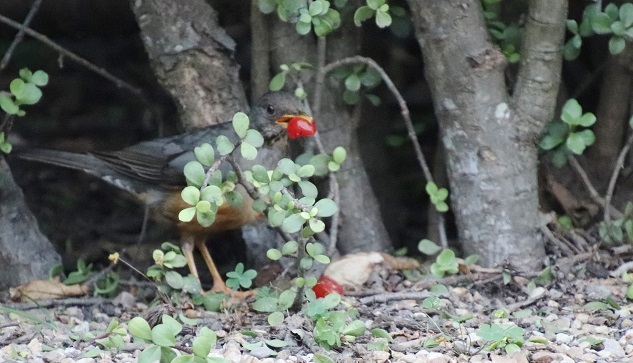 There is plenty of food in our garden to sustain them throughout the year as the weavers not only eat seeds, but tuck into the fruit I put out, and readily feed off the nectar from the aloes or the Erythrina blossoms as well as visiting our nectar feeder when the natural sources are scarce. 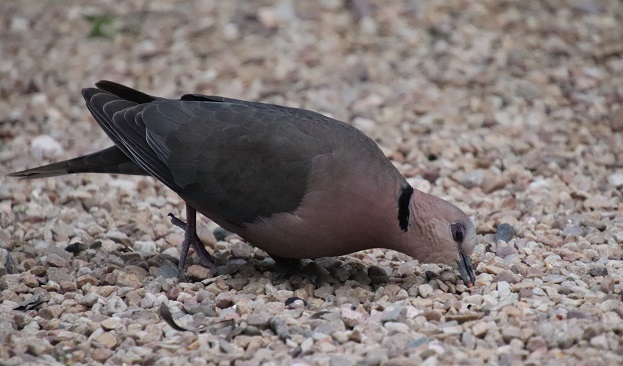 I have also observed them eating termite alates. Village Weavers (Ploceus cucullatus) used to be known as Spotted-backed Weavers as its characteristic feature is … its spotted or mottled back! The cucullatus part of their name refers to their hood or crown. 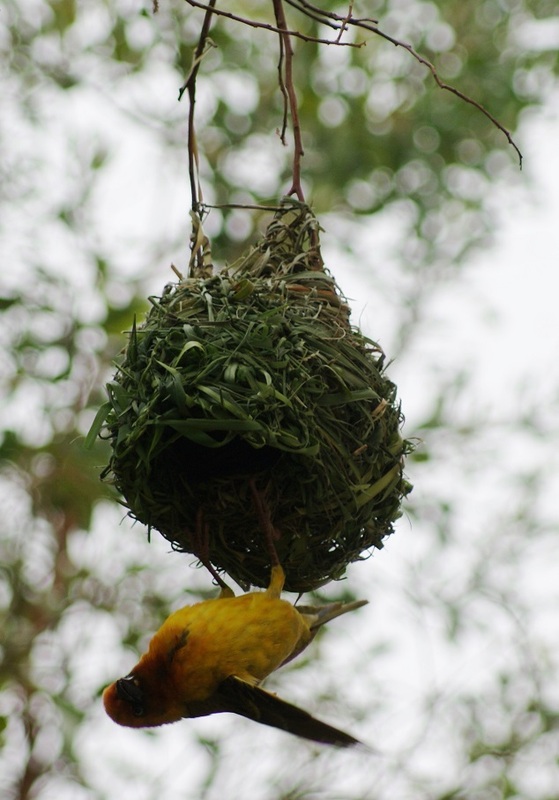 The name Village Weaver probably derives from their habit of nesting near human settlements. 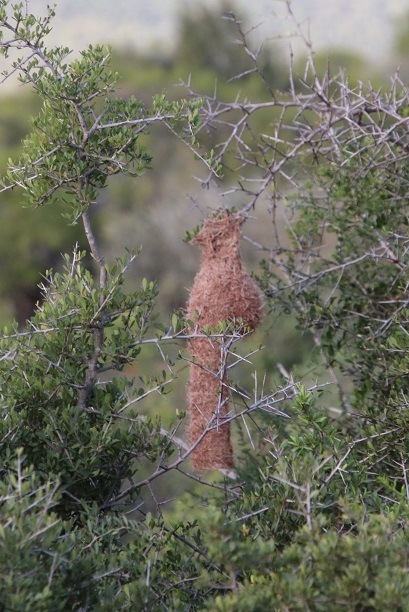 The completed nests are kidney- shaped with a large entrance on the underside. 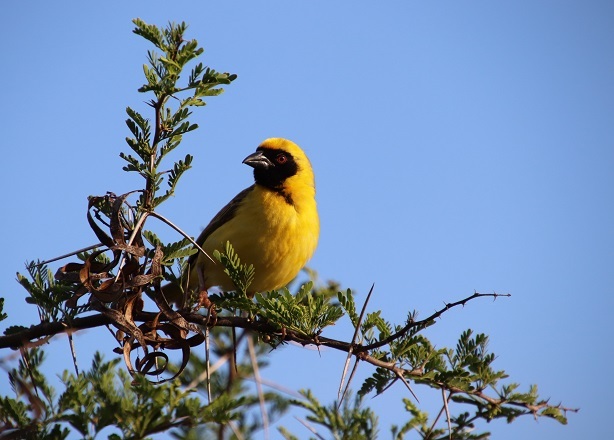 Casual observers often confuse them with the Southern Masked Weaver (Ploceus velatus) which looks similar in passing, but only superficially. 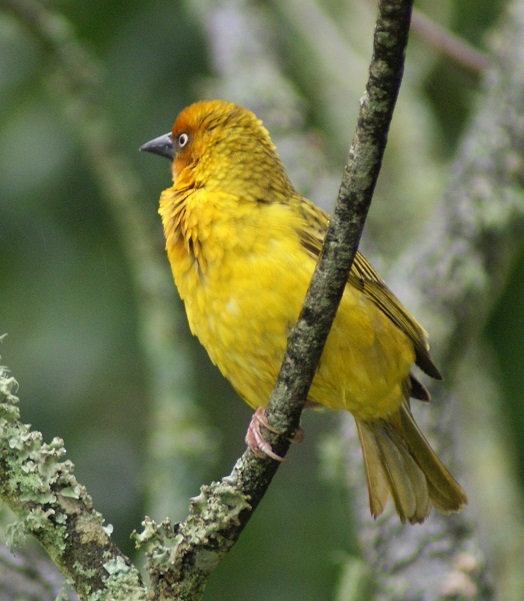 The Southern Masked Weaver has a dullish red-brown eye and, notably, a mostly plain back with a greenish tinge. 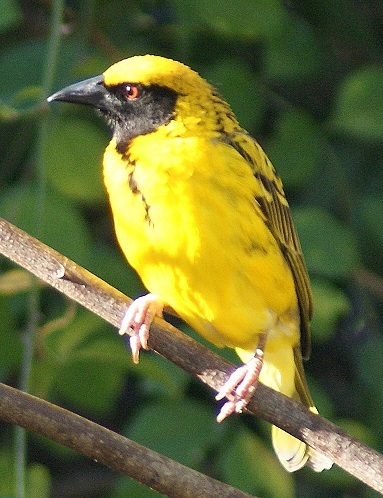 The crown of breeding males is bright yellow with a narrow black forehead and black facial mask that forms a point at the throat. 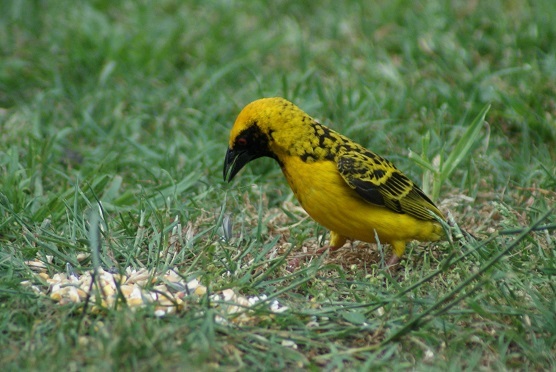 Apart from its mottled black and yellow back, the Village Weaver has a distinctive dark red eye and its black hood extends further down its throat than that of the Southern Masked Weaver. 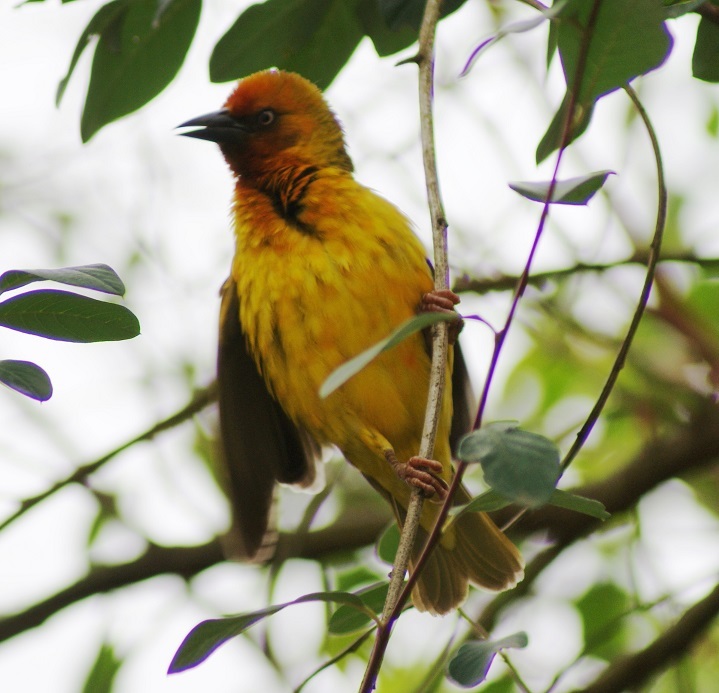 Cape Weavers (Ploceus capensis) are endemic to South Africa and are easily recognisable by their bright yellow colouring and the orange facial blush of the males during the breeding season. The irises of these birds are very pale. 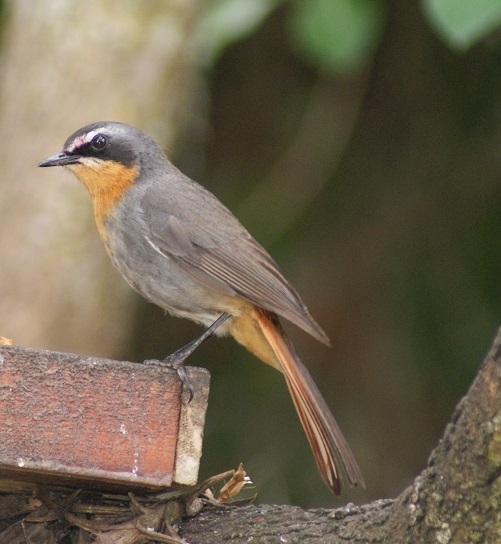 Capensis refers to the bird first being identified in the Cape peninsula. 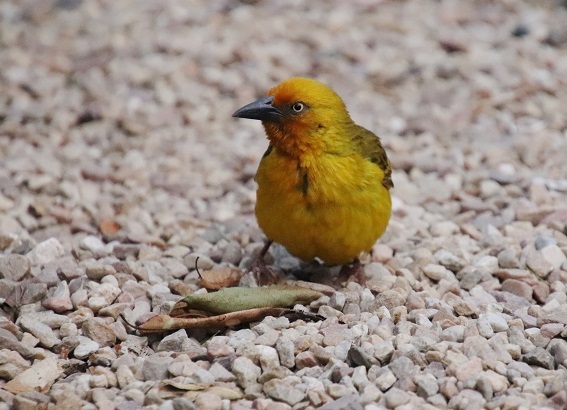 The Spectacled Weaver (Ploceus ocularis) is also yellow, but sports a neat black eye-stripe. 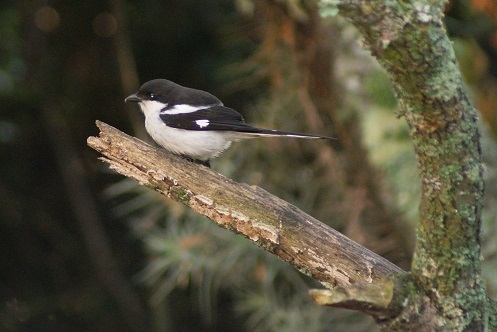 I have yet to get a good photograph of one in our garden and am re-using one of the very few I have. Ocularis refers to the eyes. 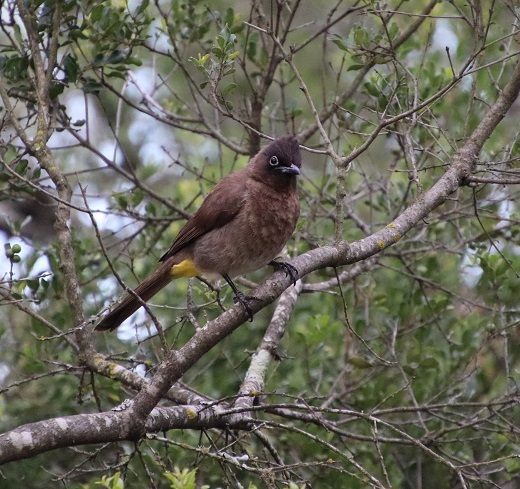 It is interesting to note that these weavers retain their distinctive plumage throughout the year. 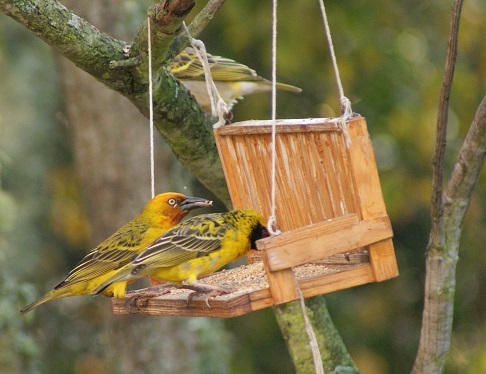 Unlike the gregariousness of other weavers, the Spectacled Weavers tend to be solitary, forming a permanent pair bond. 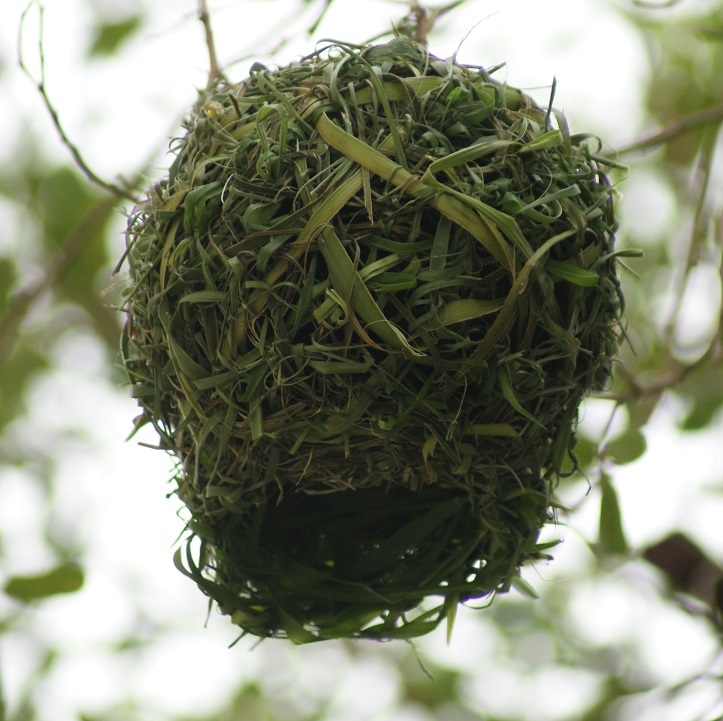 Their nest is of a particularly interesting shape. This one, seen in the Addo Elephant National Park, was too far away for a clear photograph but you can get an at least see the long entrance tube. Showing off his handiwork – or should that be beakwork! 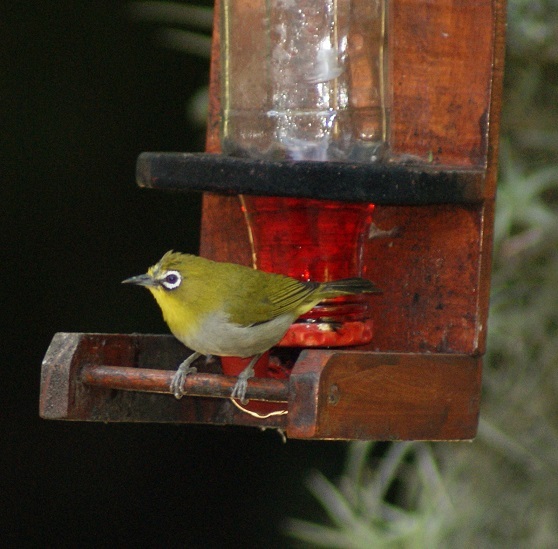 August has been a wonderful month for watching birds in our garden. As the season gradually turns towards spring, the birds have responded by donning their breeding plumage and getting down to the serious business of courting. 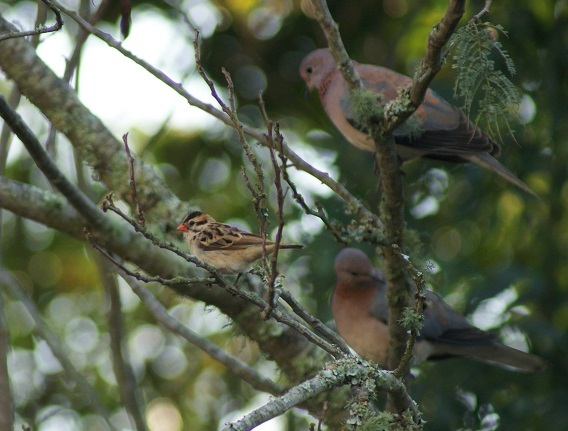 These are Cape Weavers sporting their breeding plumage. 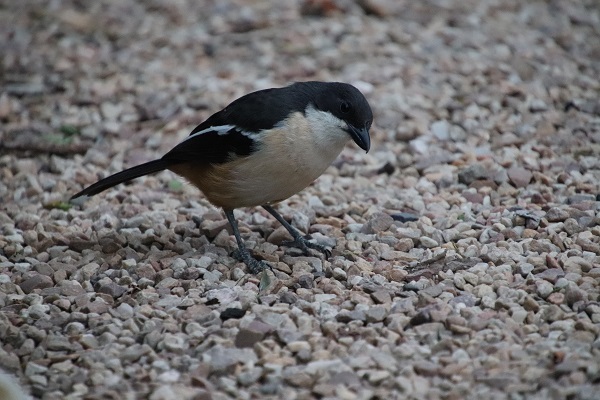 A Blackbacked Puffback made a fleeting visit last week and, having bemoaned the absence of Malachite Sunbirds last month, I have seen several of them feeding on the Erythrina caffra – much too high up for a decent photograph of them though. I was fortunate to be sitting outdoors when a Cardinal Woodpecker visited a nearby tree and remained there for some minutes before finding one further on that was more likely to have food tucked under the loose bark. It is said that one swallow doesn’t make summer – nothing has been said about swifts, although I was taken aback to see a pair of Whiterumped Swifts flying overhead. I thought I must be mistaken, but they have appeared on more than one occasion since then. The joy of keeping records is that I could look up my bird list for last August and see that the swifts indeed arrived ahead of the much-awaited Lesser-striped Swallows – they will be the harbingers of summer. 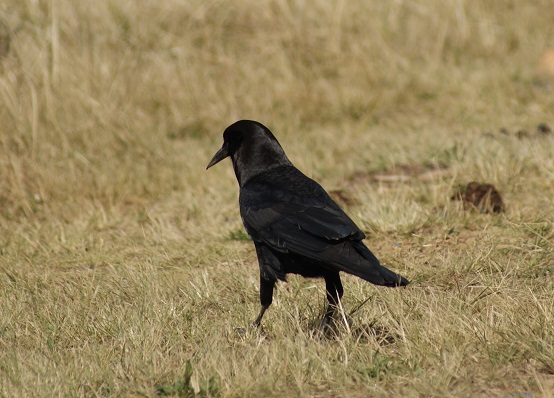 The Black (Cape) Crow is not an easy subject to photograph – either absorbing all the light to become a dark blob or reflecting so much light that its features are lost. This time I have nabbed one in reasonable light, so include it here. 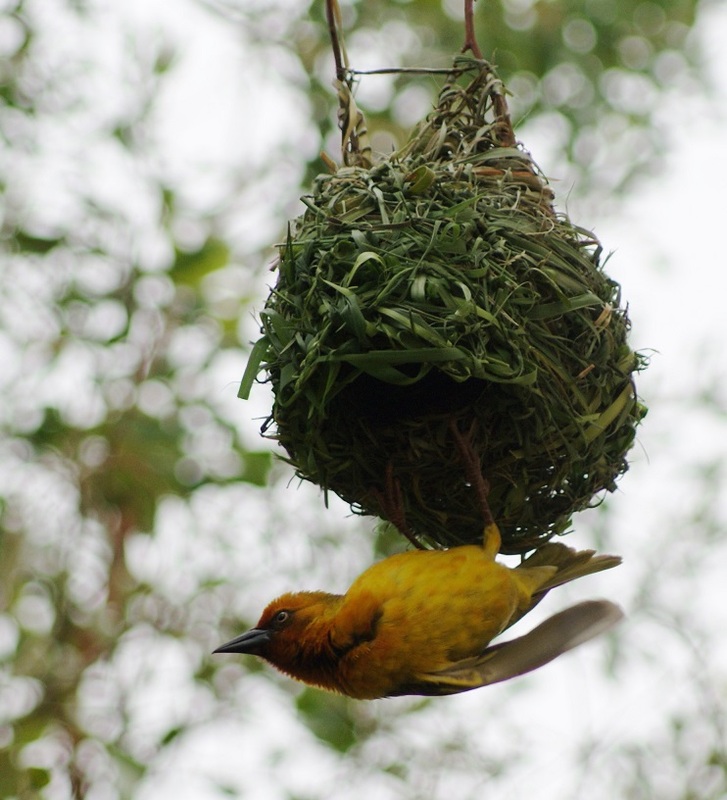 At this time of the year we get a regular mix of Cape Weavers and Village Weavers, with a handful of Southern Masked Weavers thrown in. One has to observe them very carefully to distinguish between the latter two. 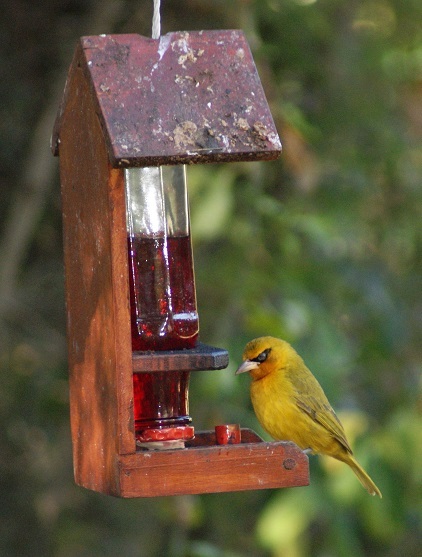 Every now and then a Spectacled Weaver joins the fray at the feeding tray or visits the ‘pub’. With the drought still plaguing us, the bird baths are very popular. 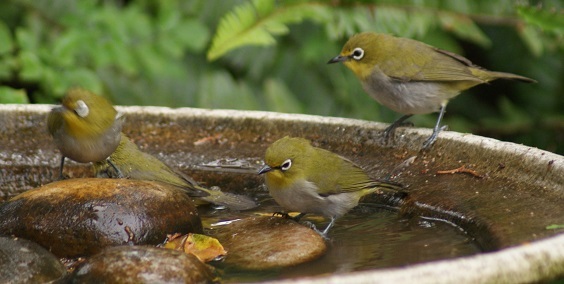 Here are some Cape White-eyes enjoying a bathe.